I received this book from #kidlitexchange to read in exchange for an honest review. All opinions are my own. 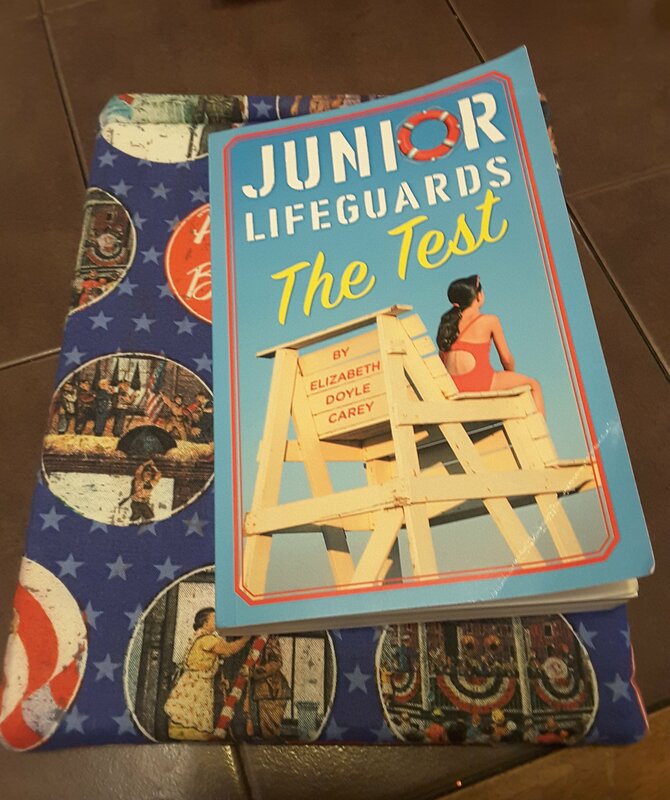 🌟🌟🌟🌟 The Test (Junior Lifeguards Book 1) by Elizabeth Doyle Carey. Two weeks before school lets out for the summer and with a rigorous swim training schedule and finals coming up Jenna Bowers is looking for an adventure. As Jenna at swim practice one day she sees a cute boy posting a flyer on the bulletin board about Lifeguard Tryouts. Immediately her stomach flutters and her mind races how to fit it into her already packed schedule. After discussing with her swim coach they come to a conclusion where Jenna can do both. After that Jenna quickly begins to recruit her friends Piper, Selena, and Ziggy to join tryouts with her. When tryouts begin Jenna quickly learns that just being a good swimmer isn’t the only thing to lifeguarding. She also finds some gossip which leads her to know her ex babysitter idol, Molly, was injured and has a long road to recovery and her new lifeguard coach doesn’t like her much, but Jenna is not a quitter. She strives hard to prove she has what it takes to survive small town gossip and opinions. And she even gets words of encouragement from Molly. Review also posted on Instagram @jasonnstacie, Library Thing, and Goodreads/StacieBoren.